In this introductory class, students will have fun learning the basics of sewing by hand. 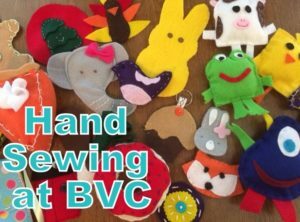 From threading needles and tying knots, to types of stitches and adding embellishments, students will create colorful projects out of felt and fleece. No prior sewing experience needed. Projects will include stuffed animals, felt foods, holiday themed accessories, and more!